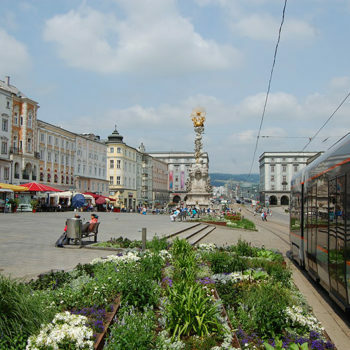 Austria’s third largest city Linz is a mix of contemporary culture, historical city centre and industrial heartland. All this right on the banks of the Danube. 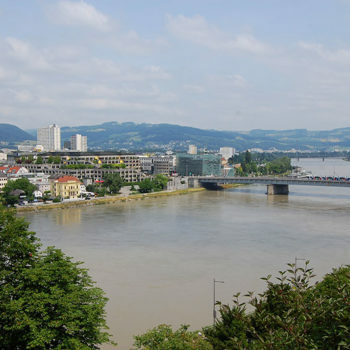 Linz is one of the main economic powerhouses of Austria, basing its reputation as such, on a vast industrial complex on the southern banks of the Danube. 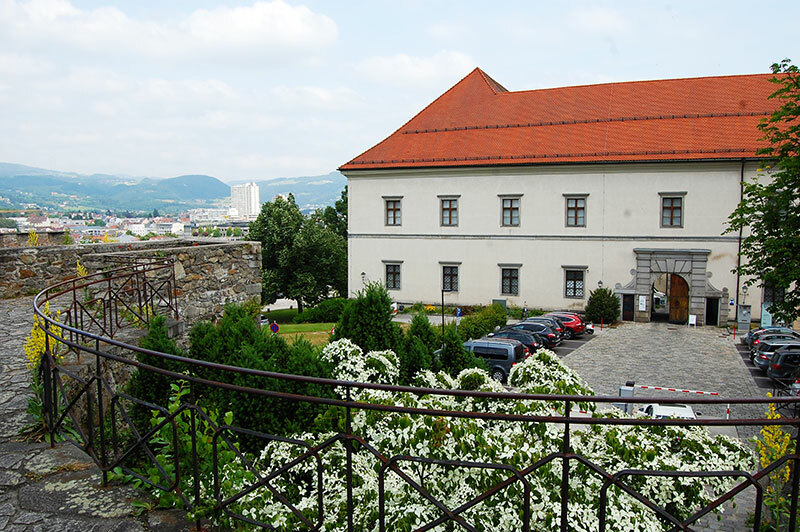 Despite its reputation as an industrial city, Linz has a lot to offer tourists. 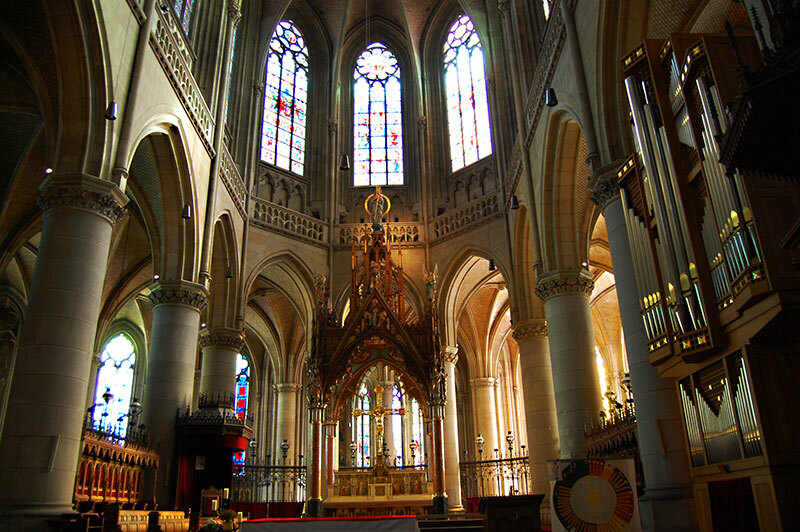 You and your family would find plenty to see and do for a few days. 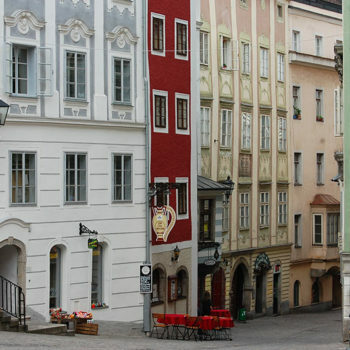 Thus, if you are looking for genuine Austrian city life and some great cultural treats, I would definitely give Linz a go. 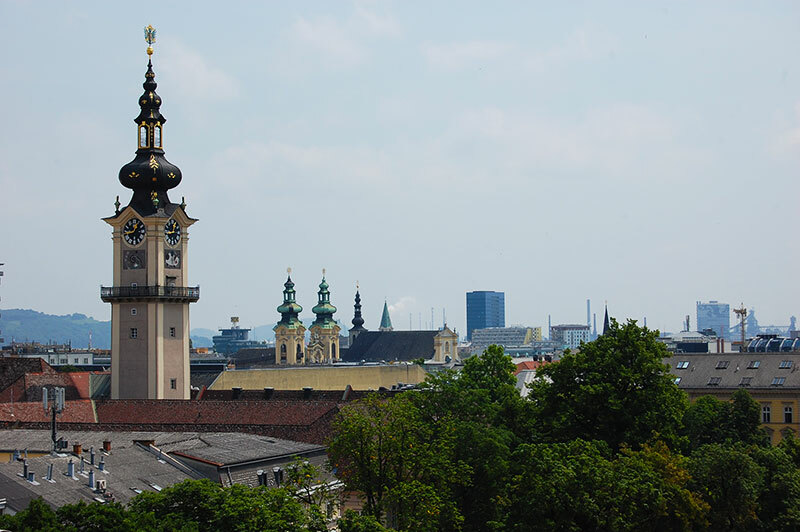 The 200.000 inhabitants live in a large city, where the bulk of it sprawls out on a flat plain south of the Danube. 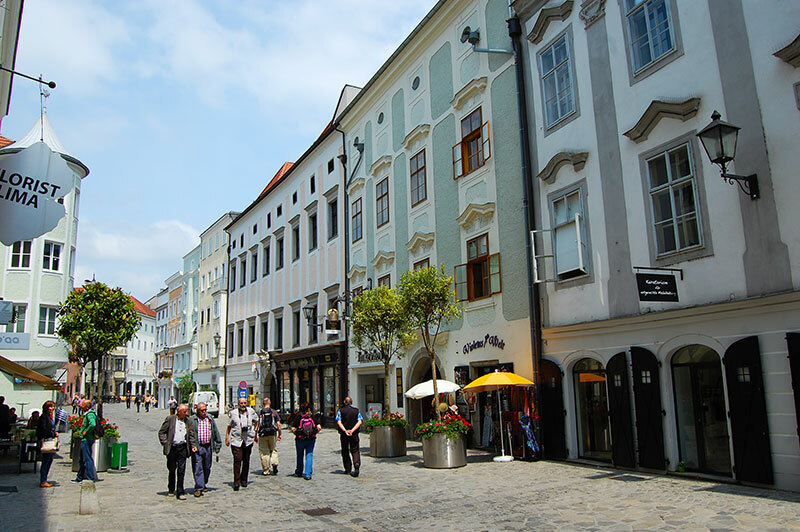 Nonetheless, the most interesting parts of Linz are situated in a fairly small area in and around the old town. 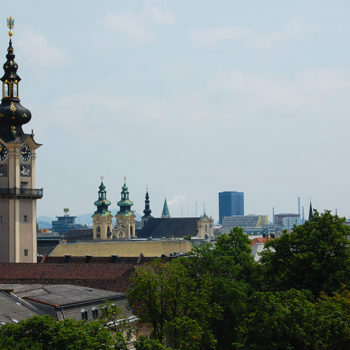 Although the old town is fairly compact, it’s big enough to keep you busy for a few days. 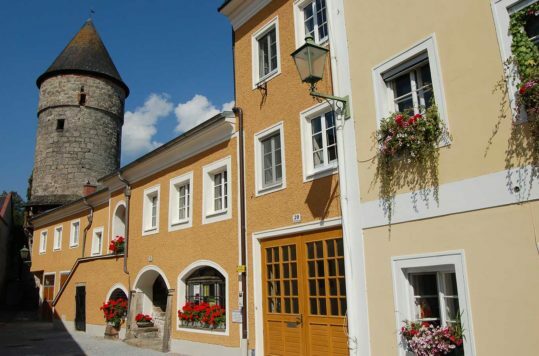 The old town has a some well preserved medieval and 17-18th century buildings. 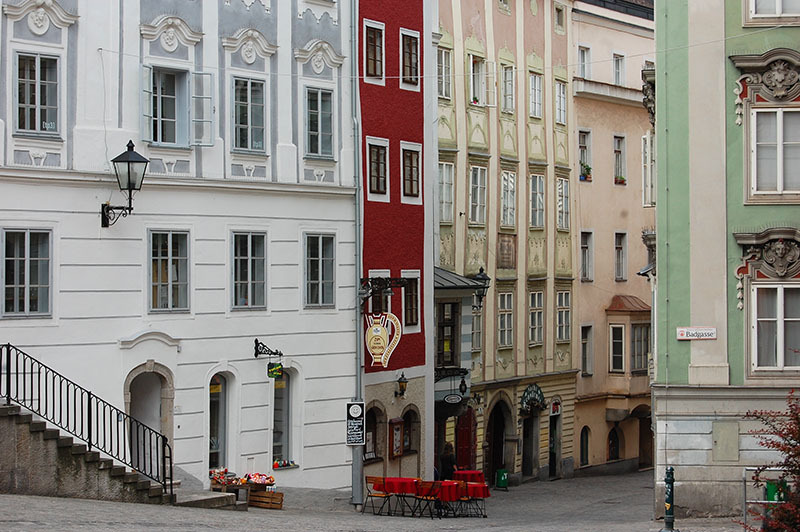 Most of the old town is made up of pedestrian streets and small alleys. Perfect for leisurely strolling around for a few hours. At night, the old turns into a vibrant party scene with a night-life at par with other cities of the same size. 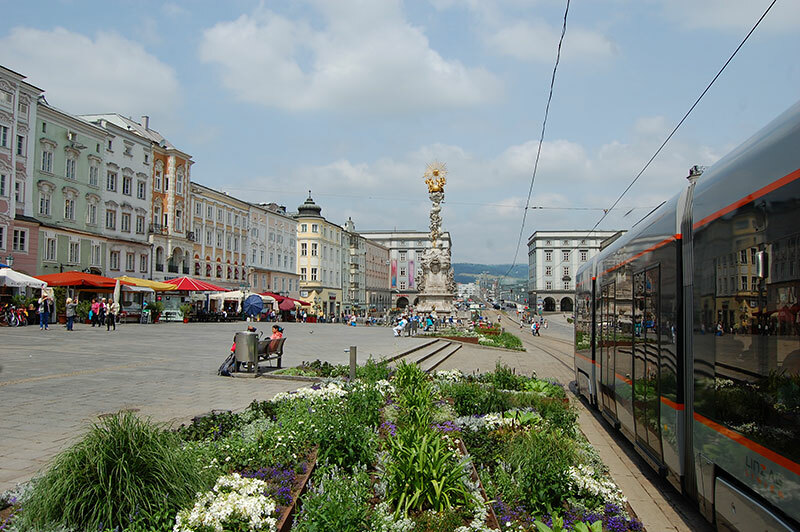 The main square is the hub that connects you to the other parts of Linz. 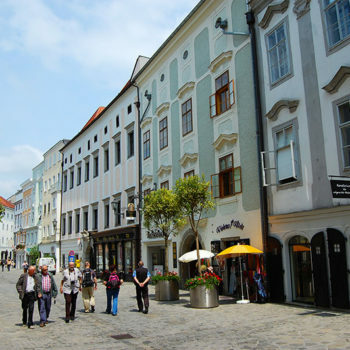 It’s also the start of the main shopping street, the Landestrasse. 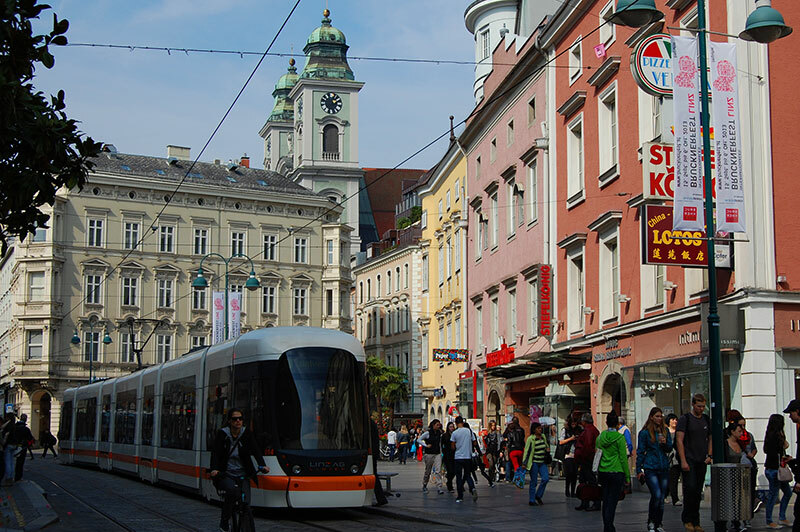 Combining as the main artery for tramlines, in and out of the city centre, and as shopping street, the Landstrasse is very busy. Most of the Landstrasse and its side streets are lined with shops. If this cannot fulfil your shopping needs, PlusCity, a huge shopping mall near the airport should do it. 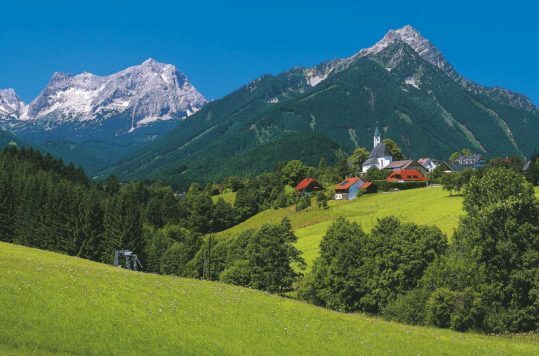 In contrast to busy Linz, there are also places to relax and to wind down. The city has a few but nice green areas. 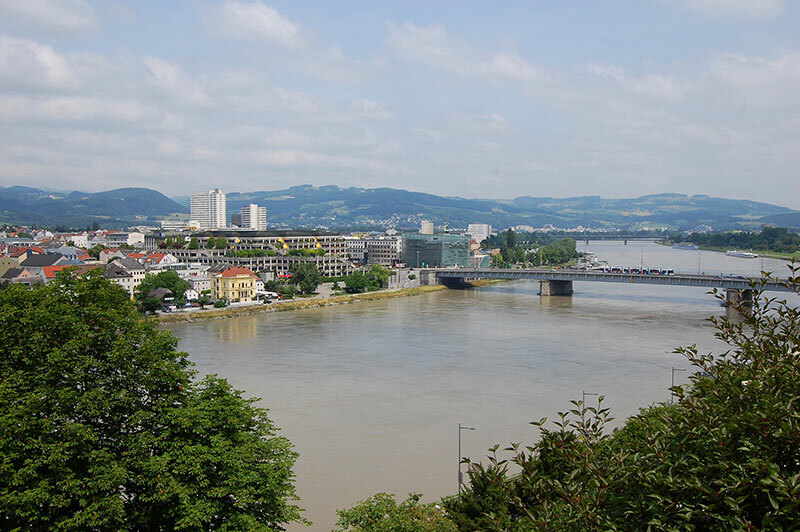 Choose from the riverside to city parks like Bauernberg and Freinberg. Across the river you can swim in a partly man-made lake (Pleschingersee). With a large university and several other higher education facilities, the city has a sizeable teenage / young adult population that needs to be catered to. Thus, there is plenty of night-time entertainment throughout the city. Watering holes are in plentiful supply, some being rowdier than other. However, there are also plenty of music bares or establishments that serve umbrella drinks for couples in love or adults. 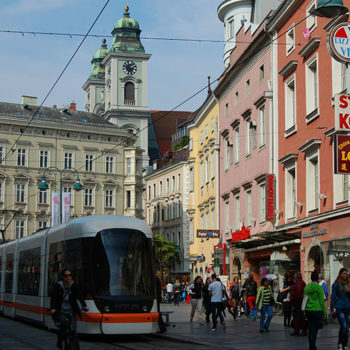 Additionally, Linz has good variety of eateries, ranging from cheap luncheonettes to upscale fine dining. Even the self-serve restaurants in department stores or furniture stores serve descent meals for a good price. 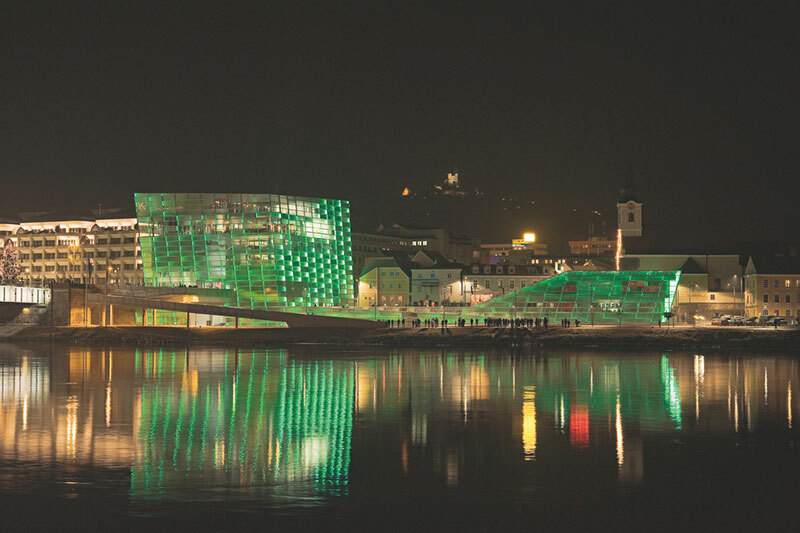 Ever since Linz was The European Cultural Capital of 2009, the city has worked hard to preserve is place as one of the great cultural cities. It continues to stage a wide variety of culture venues. The Brucknerhaus festival and congress centre offers hundreds of different performances every year. The Lentos Art Museum displays modern art inside, and a light show on the outside. 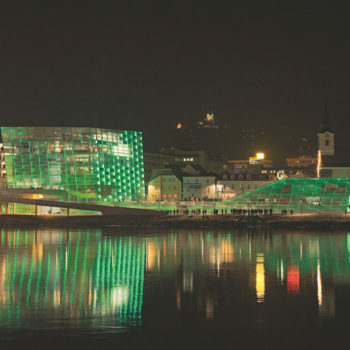 Furthermore, to wrap up the shortlist we have to include the Ars Electronica Center (AEC), an electronic art centre. 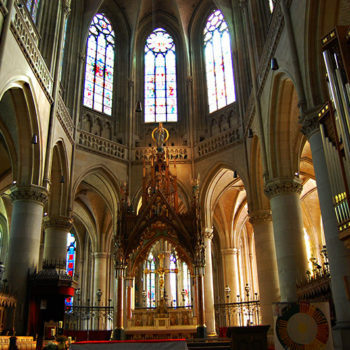 The list of cultural venues is of course much longer. 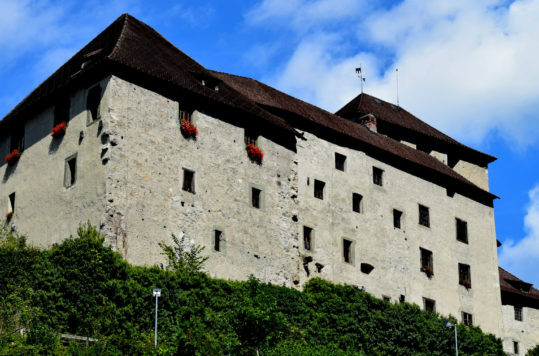 Not merioning all, we can guarantee that Linz offers such a variety, that it should satisfy most peoples interests. 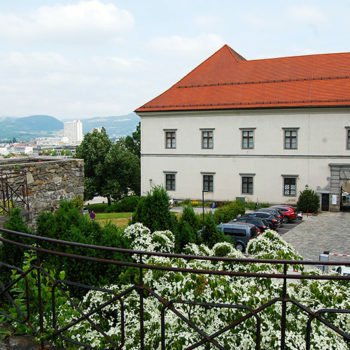 Linz also has a slightly different tourist activity to offer than most other destinations. If you are into heavy industry or just would like to have a peak at what’s going on inside one of Europe’s leading steel plants, the voestalpine Stahlwelt offers visitors a great inside view (Exhibition and Plant tour) the world of steel.